Labour will be forced to think again about its approach to inclusive education, after concerns raised by a prominent disabled activist received resounding backing from party members. Richard Rieser told the party’s annual conference in Liverpool that part of a key policy document should not be approved because it did not commit Labour to a fully inclusive education policy if it won power. He said that, despite his involvement in discussions with the party’s National Policy Forum, at the invitation of Jeremy Corbyn, there was no such clear commitment in its annual report. Rieser, a prominent campaigner and consultant on inclusive education, proposed a call for the part of the document referring to children with special educational needs and disabilities (SEND) to be “referenced back” to the policy forum. He told the conference (pictured) that the party’s 2017 general election manifesto had committed a Labour government to “a national inclusive education system”. He said: “Surely the point of a policy review is to take policy backwards, not forwards. Rieser said the manifesto had also committed a Labour government to full implementation of the UN Convention on the Rights of Persons with Disabilities (UNCRPD), which commits governments that have signed up to the convention – including the UK – to work towards “an inclusive education system at all levels”. 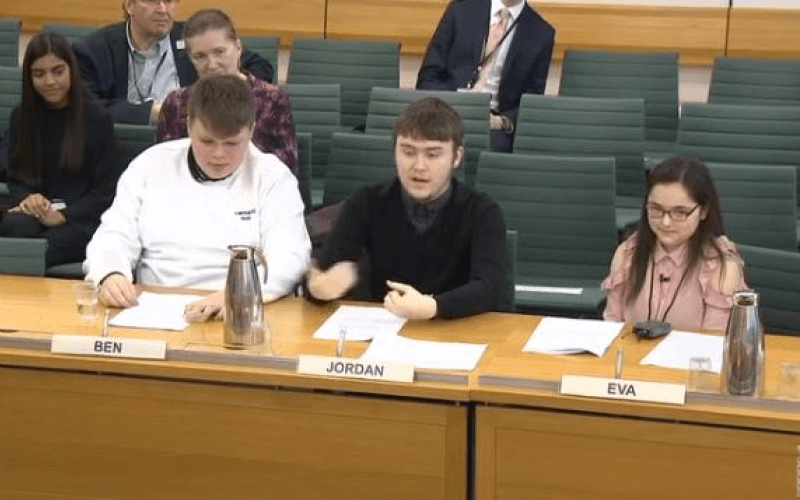 He told the conference later that despite the number of secondary school pupils rising by nearly 55,000 from 2014 to 2018, the number of teaching assistants – many of whom support disabled pupils in the classroom – had been cut by more than 6,000. Rieser’s proposal for the SEND section of the report to be referenced back to the forum received overwhelming approval from delegates. 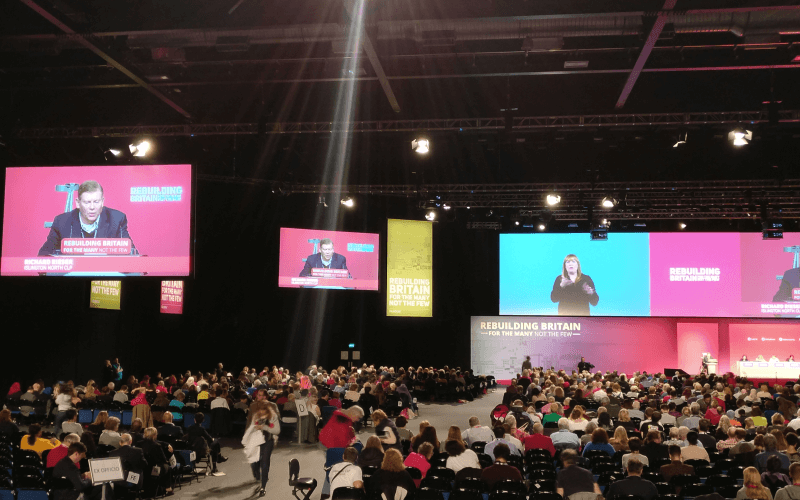 In her speech to conference later that day, shadow education secretary Angela Rayner appeared to suggest that a Labour government would demand a fully inclusive education system. Rayner said that children with SEND were often those who suffered most from staff shortages, so the National Education Service “charter” produced under a Labour government would guarantee that the service would be “truly inclusive”. She added: “That is why our shadow children’s minister Emma Lewell-Buck will lead plans to stop those with SEND from falling out of the school system. The party had not responded to attempts to clarify by noon today (Thursday) what Rayner meant by a “truly inclusive” education system. Rayner also promised to bring all publicly-funded schools – including academies and free schools – back “into the mainstream public sector” and under the control of local authorities.